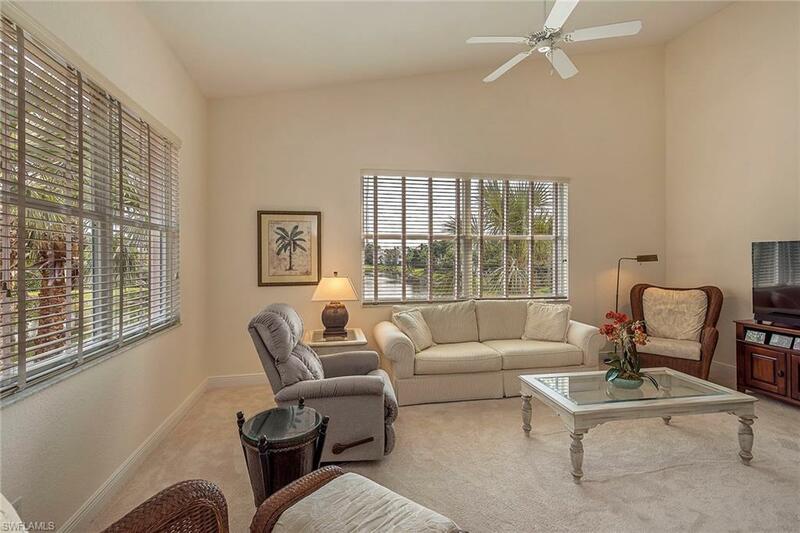 Gorgeous southwest lake views from the living room and lanai highlight this beautifully maintained and upgraded three-bedroom, two-bath condominium with an attached one car garage with keypad. This beautifully furnished home provides the perfect winter retreat or full-time location and has excellent seasonal rental potential. 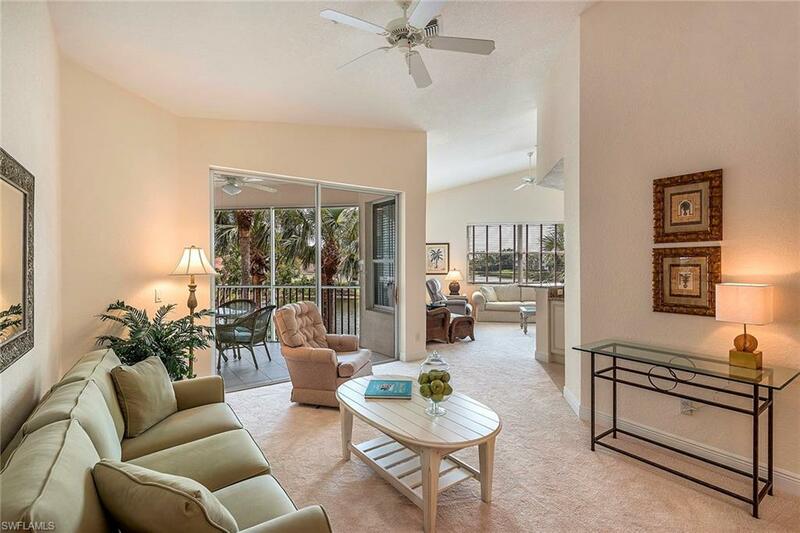 Outdoor living is enhanced with the spacious tiled lanai offering long water lake views. 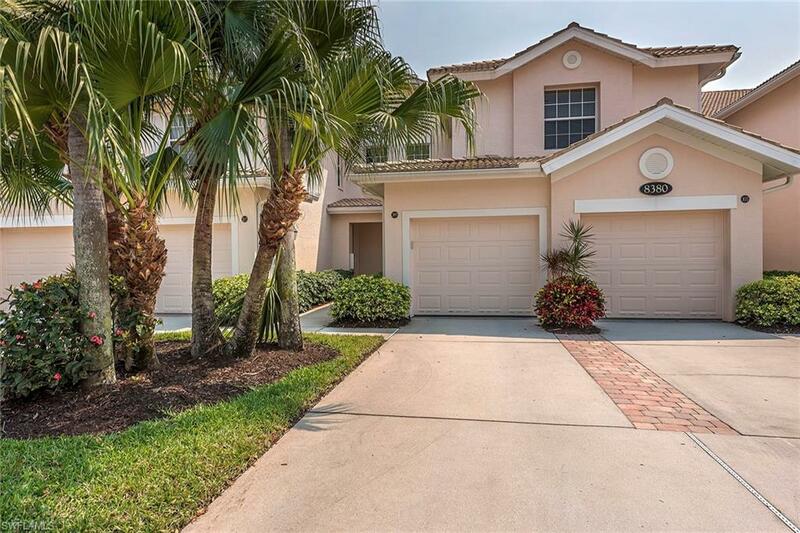 The totally upgraded open kitchen features rich granite, bar seating, tile backsplash, white cabinetry, under cabinet lighting, a pantry, and newer stainless steel appliances including a convection oven and refrigerator. New washer and dryer in laundry. 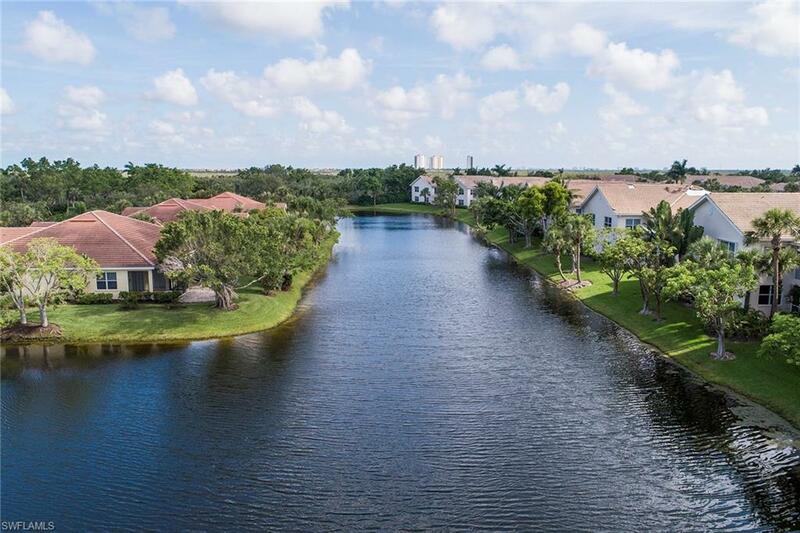 Beautiful lake views can be seen from the master bedroom which features large closets and en suite with dual sinks and a frameless walk-in shower. The spacious second guest bedroom features additional storage space in the large walk-in closet. Fiddlers Creek offers clubhouse spa, resort pools, waterfalls, fitness, spa services, tennis and casual to formal dining all on pristinely kept grounds in the guard-gated community. Golf and beach memberships are available.